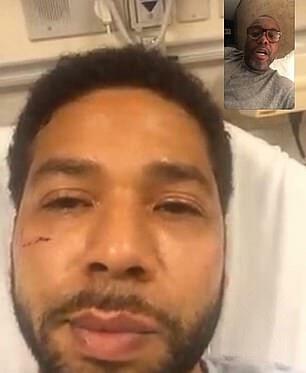 Jussie Smollett has broken his silence to thank fans for the outpouring of support he has received since he was attacked on Tuesday by two racist, homophobic men as he walked home. The Empire star told Essence in a statement: 'Let me start by saying that I'm OK.
'My body is strong but my soul is stronger. More importantly I want to say thank you. 'I am working with authorities and have been 100% factual and consistent on every level. Despite my frustrations and deep concern with certain inaccuracies and misrepresentations that have been spread, I still believe that justice will be served. 'As my family stated, these types of cowardly attacks are happening to my sisters, brothers and non-gender conforming siblings daily. 'I am not and should not be looked upon as an isolated incident. 'Most importantly, during times of trauma, grief and pain, there is still a responsibility to lead with love. It's all I know. And that can't be kicked out of me. 'With Love, respect & honor…Jussie,' he said. It is the first time he has spoken since being targeted in downtown Chicago by two men who he said shouted 'this is MAGA country!' and attacked him as he walked home. 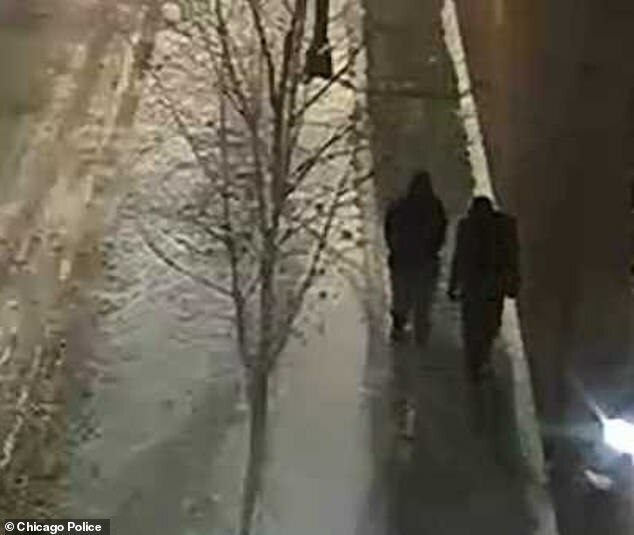 The attack was not captured on surveillance footage but Smollett was seen entering his apartment building moments after it happened with a rope around his neck. He was on the phone to his manager, Brandon Z. Moore, when he was jumped and Moore corroborated his story earlier this week. A week before the attack, Smollett reportedly received a homophobic and racist death threat in the mail. It was sent to the studio where he films Empire and is said to have terrified staff. Police are working to find two men they believe may be responsible and are appealing to the public for information. Smollett's neighbor has also described seeing two suspicious 'redneck' types standing outside their luxury apartment building 90 minutes before the attack took place. One had a rope hanging out of his sweatshirt, she said, and they looked out of place. Smollett had not long arrived back in Chicago from New York City when he was attacked.